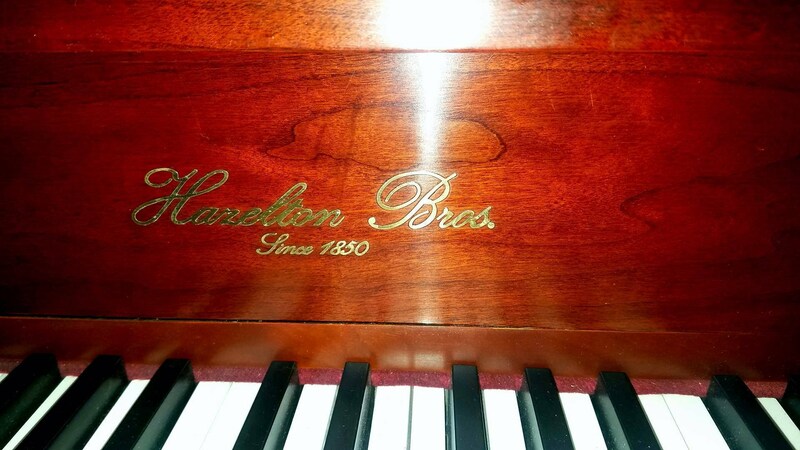 This is an amazingly styled french provincial Hazelton Brothers console piano in red mahogany wood tones. 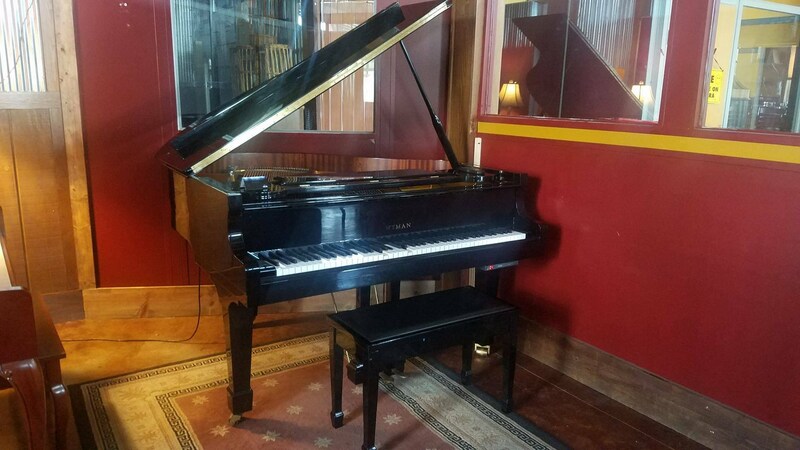 It can be viewed in person at Snowbird Station, and is available for $1850, and includes delivery within 25 miles to a ground level entrance. 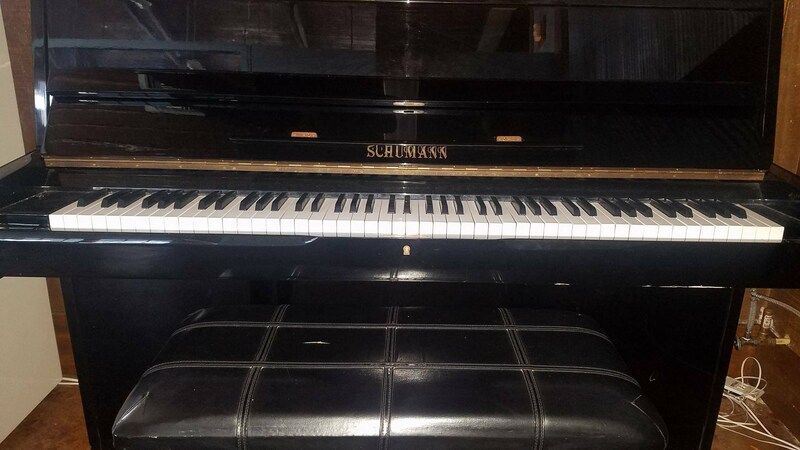 Wyman 5ft baby grand piano with cd piano player system that plays a variety of player piano disks. 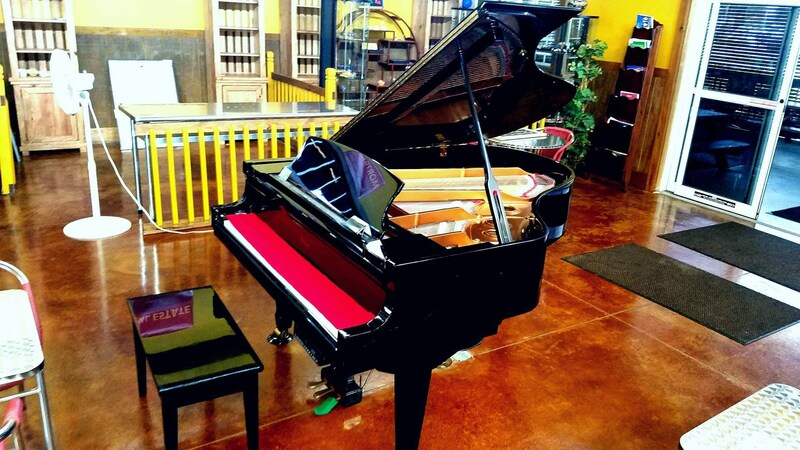 It's a true head turner when it plays itself, providing hours and hours of endless entertainment. Remote controlled to turn it up or down at your request. $5500, including delivery within 25 miles to a ground level entrance. 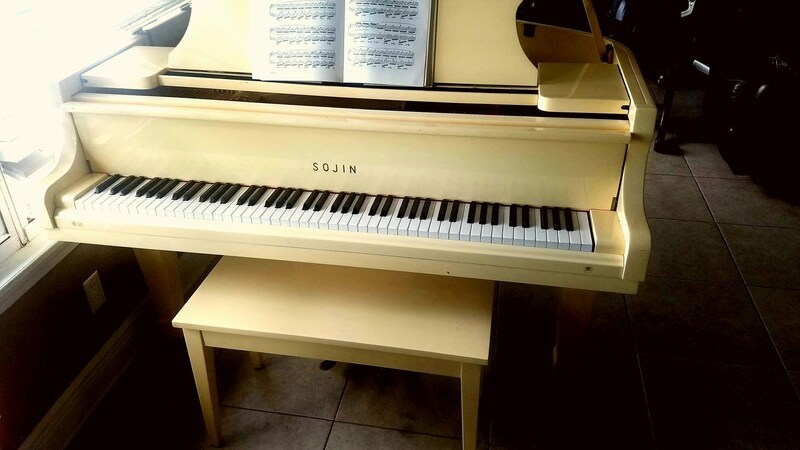 Pearly white Sojin 4ft 8in long Sojin Baby Grand piano that will entice even the most virtuoso of pianists with it's rich tone and smooth action! Stunningly gorgeous! 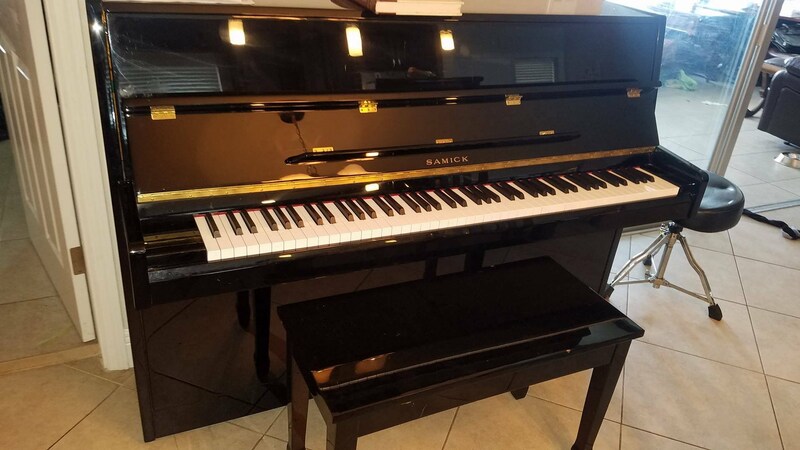 A deep rich ribbon mahogany Samick Studio upright piano - a flagship of upright innovation to bring the rich bass tones that come with a grand piano - through the design of an upright piano. $1650. Includes local delivery to ground level within 25 miles. 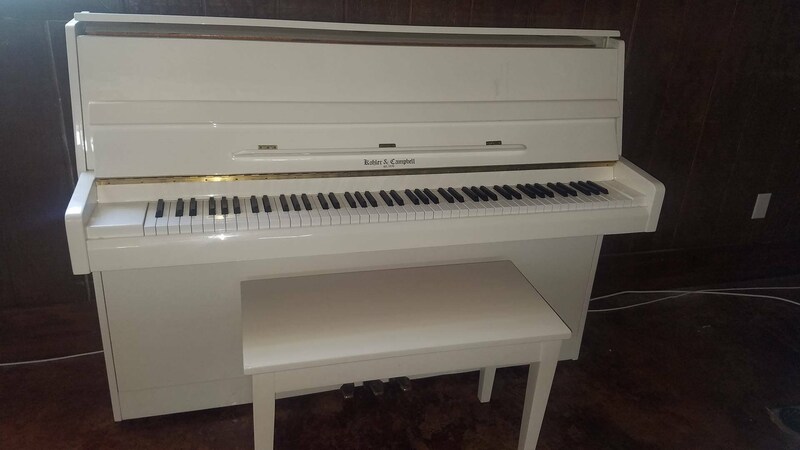 Kawai Console piano comes with a bench that matches (not currently pictured). 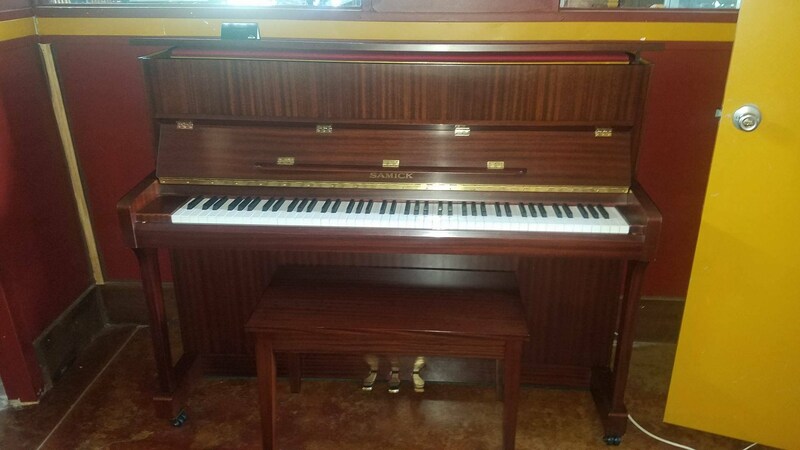 A serious musicians piano in walnut wood tones. 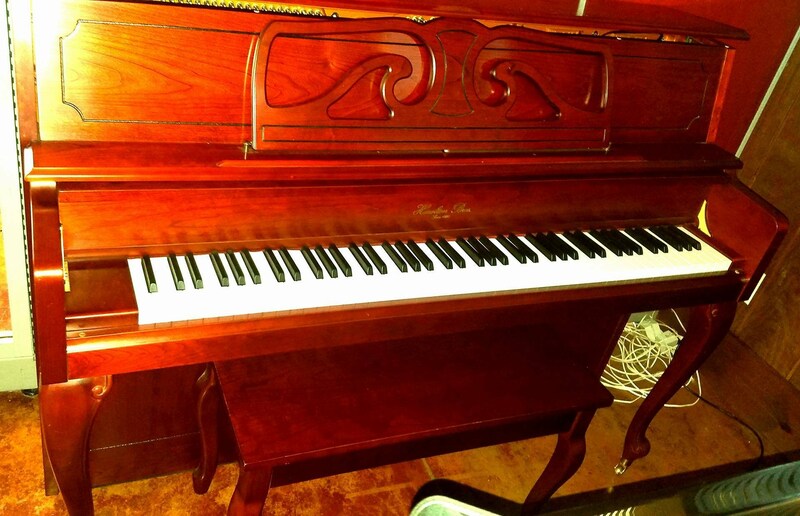 $850 includes delivery within 25 miles to a ground level entrance! 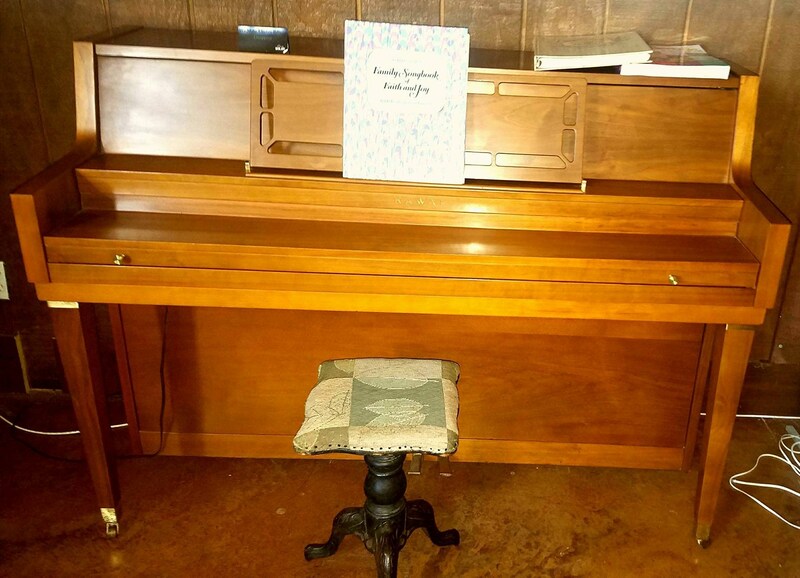 Schumann continental console styled upright piano has a "practice pedal" for playing softly around the house when desired. Tufted professional bench and priced agressively to sell at $1100.00 including local delivery within 25 miles to a ground level space. Most of these instruments are located in North Fort Myers. Call 239-851-3672 to set up an appointment! Ask for Dave!